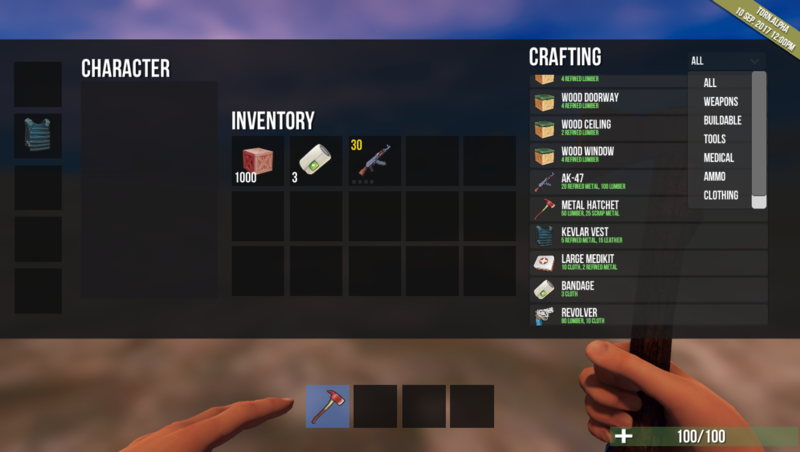 Added a sorting system to the crafting menu! I've been working on a crafting system for sometime now and working on an attributes system for the items. 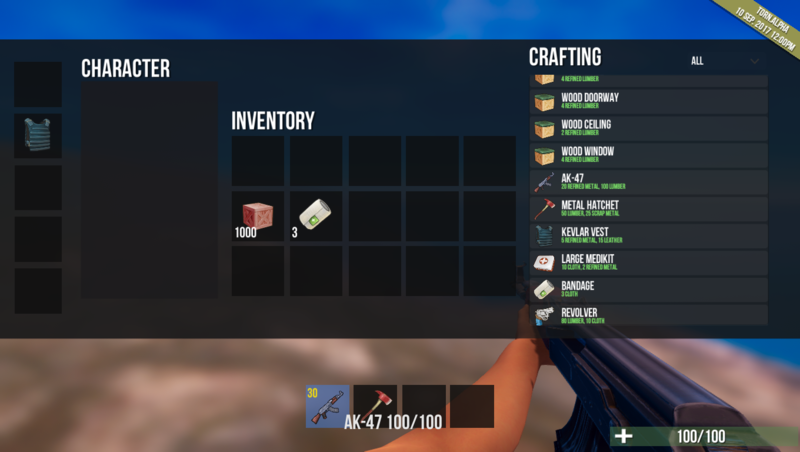 We now have the possibility to assign attributes to an item up to 6 and 2 are reserved for ammo and item degradation the other 4 can be whatever we want them to be whether storing some unique stat specific to that instance of the item or they can store our attachments (IE: gun attachments, item upgrades). I'm currently just displaying the condition stat next to the name of the item but I know we could definitely do this in a more visually pleasing way but for now it is acceptable. Torn has not been tagged yet.